I believe that most of Windows users have experienced various kinds of slow-running PC problems in the past. Actually many problems can be easily fixed with different optimization tools. But too many PC cleaner in the market at present cause confuse and you don’t know which is the best computer optimizer at all. 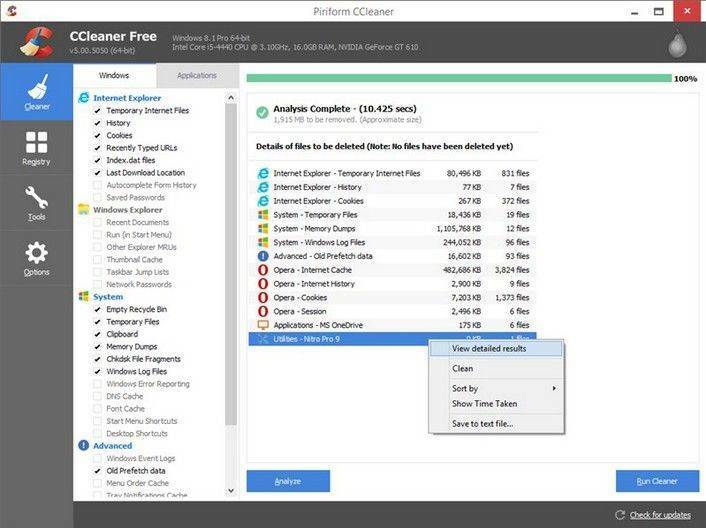 No worry, keep on reading to explore the best PC cleaner software for free in 2016 so far. 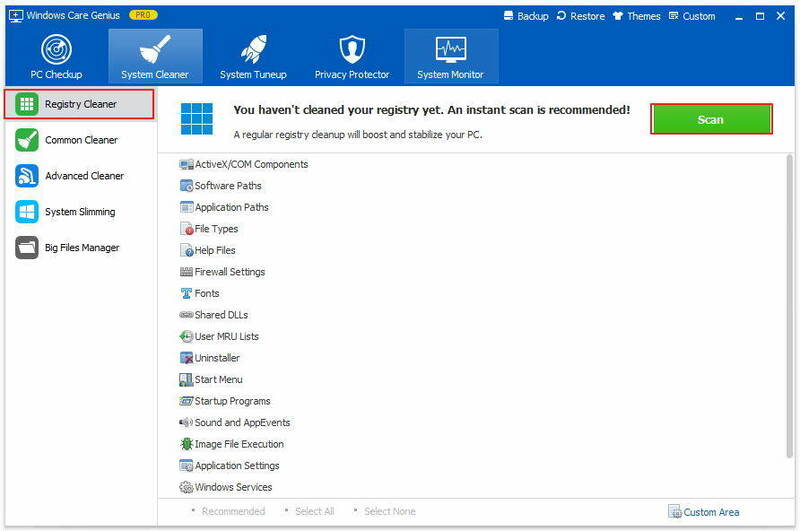 Tenorshare Windows Care Genius is the best free computer cleaner in 2016 designed to speed up your computer by checking up computer’s heath status, quickly cleaning up unnecessary junk files and remove invalid registry entries which may slow your computer down. In terms of safety and versatility, this is definitely one of the best computer cleaner and optimizer programs. Before optimize your computer to the best performance, you have to click download button as following to download and install program on your computer. Then do as following specific instructions to see how the best computer cleaner program works. 1. Launch the program and click Cleanup to check up your computer thoroughly. Then it will be detected automatically and may take a few minutes. 2. After that, your computer will be graded ranging from 0 to 10 depending on its health status. Click Fix to fix all issues with one-click. 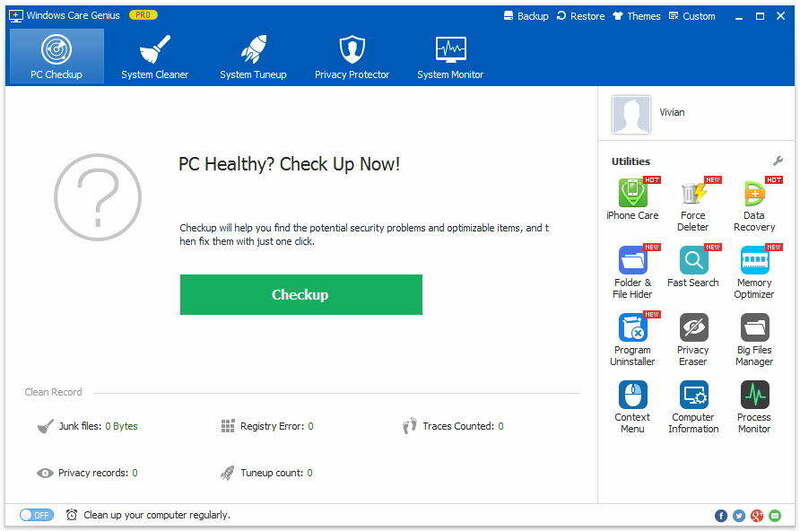 Finally, you are allowed to click Checkup again to check your PC’s health status. Excessive invalid registry entries also cause sluggish on your computer. What’s worse, Windows built-in Disk Cleanup cannot completely remove all junk files. For now, Window Genius Care can the best PC junk cleaner to help you erase invalid registry entries, useless files, download history and so forth. 1. After you finish checkup and basic cleanup, you can click System Cleaner upper the interface. Then click Registry Cleaner and Scan. Then all the invalid registries will be detected and you just need to click Clean to erase the all. 2. After that, you can click Common Cleaner > Scan > Clean to delete unnecessary browsing history, multimedia caches and so on. That’s why Windows Care Genius is the best computer cleaner in 2016. You also can accelerate PC’s startup and shutdown with System Tuneup. Even so, Windows Care Genius can do more than those. If you have any question, you are welcomed to leave it in the comment section.